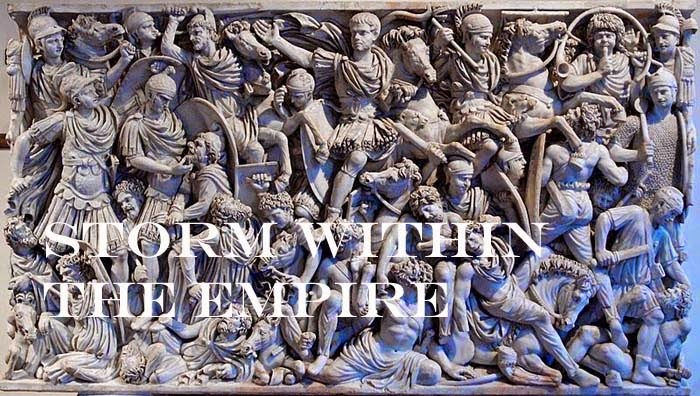 The Middle Imperial Roman list include more options for which I have now added artillery and bowmen to my Eastern Army. This means 3 x 4Bw and 1 x Art will be added to each command; extra bowmen will be used to fill the Hatrene and Characene ranks. Funny how these projects seem to grow. In the foreground are the Roman elements and to their rear are the extras based as 3Bw for the Arabo-Aramean armies. Next post will cover the command elements and all three commands in battle array.